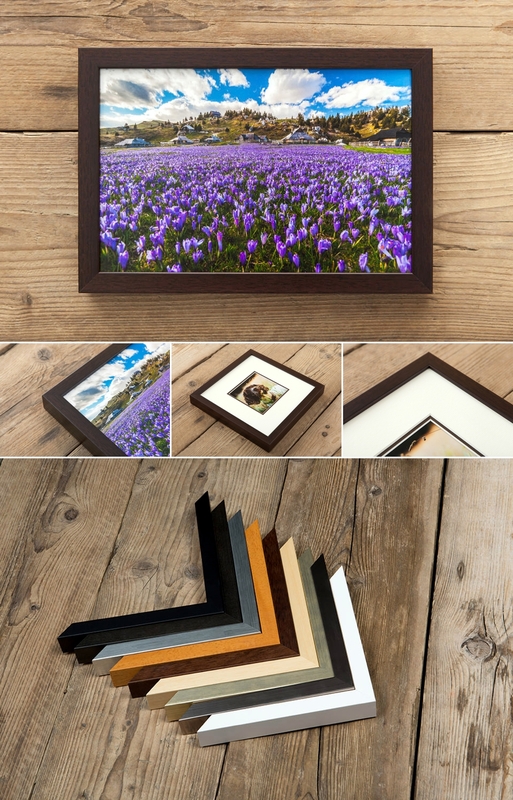 A frame finishes your photo off with a flourish! 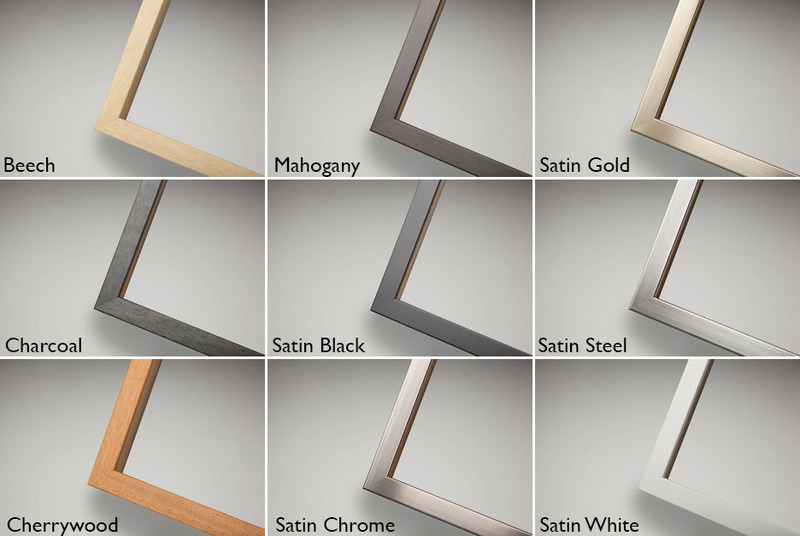 We offer three different styles of frames in a variety of finishes. 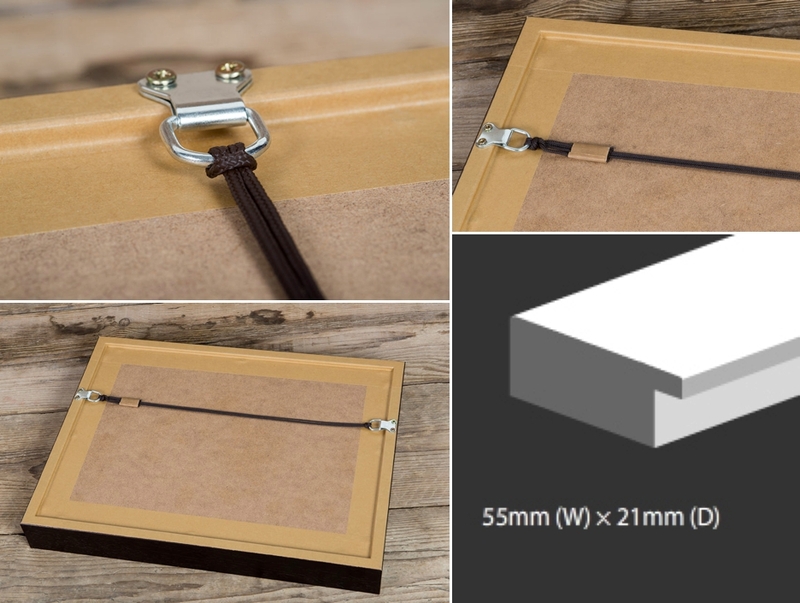 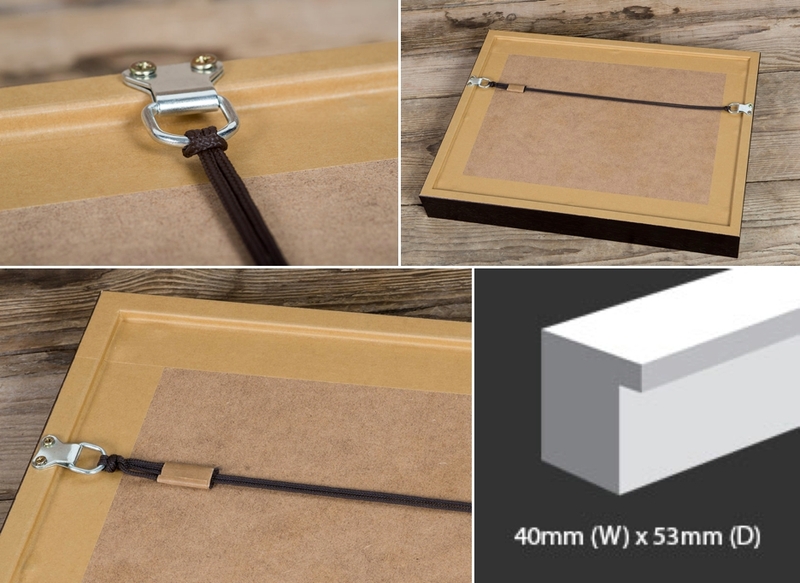 All of our frames come with a single mount in either bright white or antique white & are ready to hang on the wall. 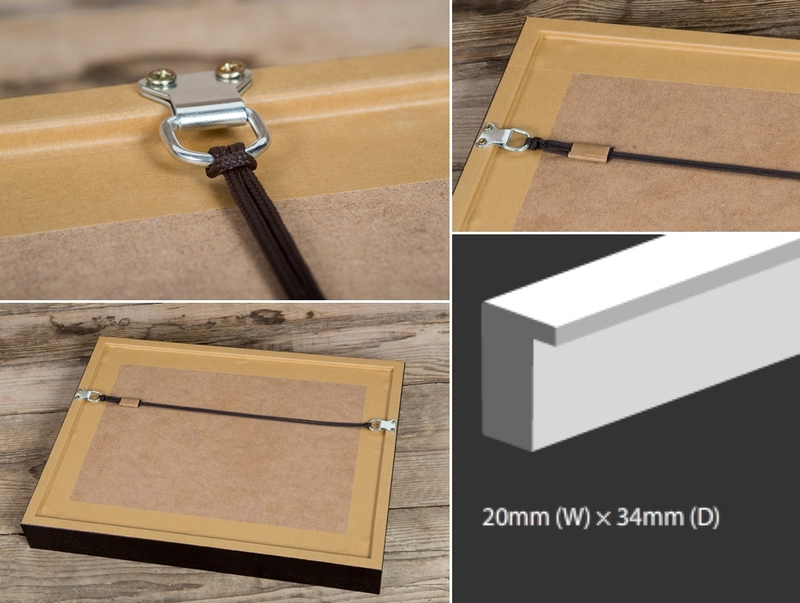 There are many different sizes & combinations available so please contact us for a quote. 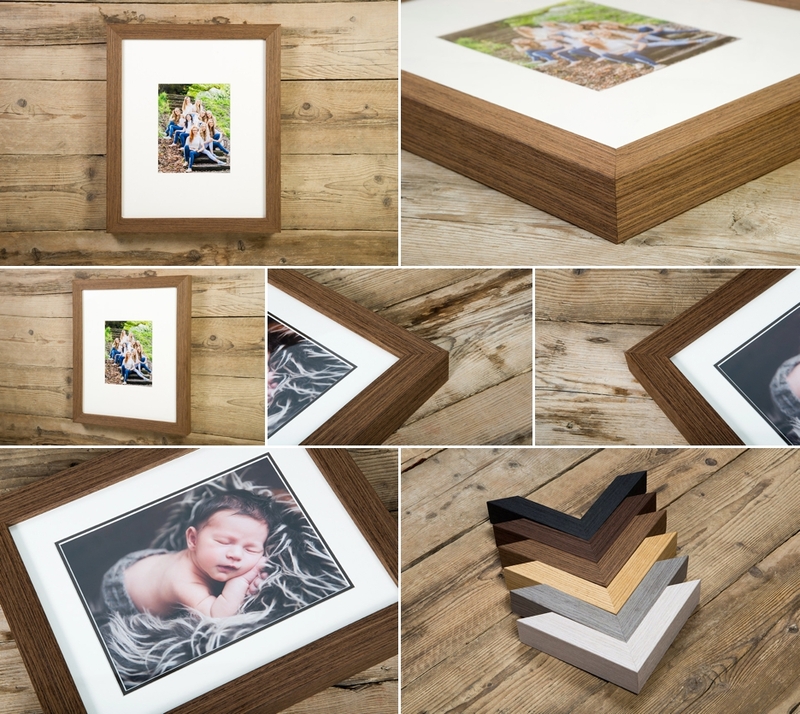 A deep wooden frame in several popular colours. 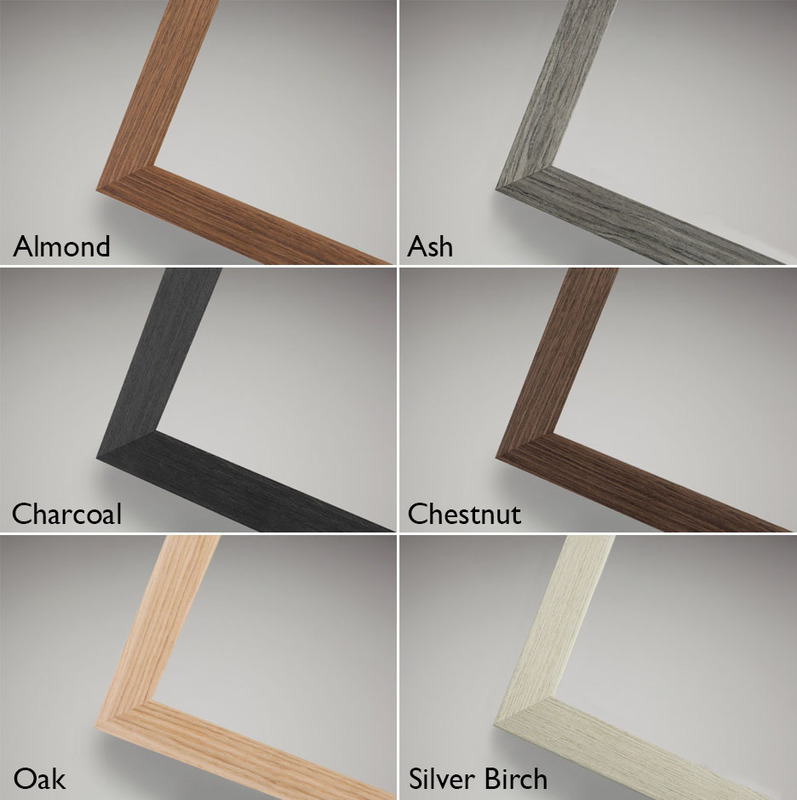 Contemporary and timelessness with subtle edges and grained wood effect. 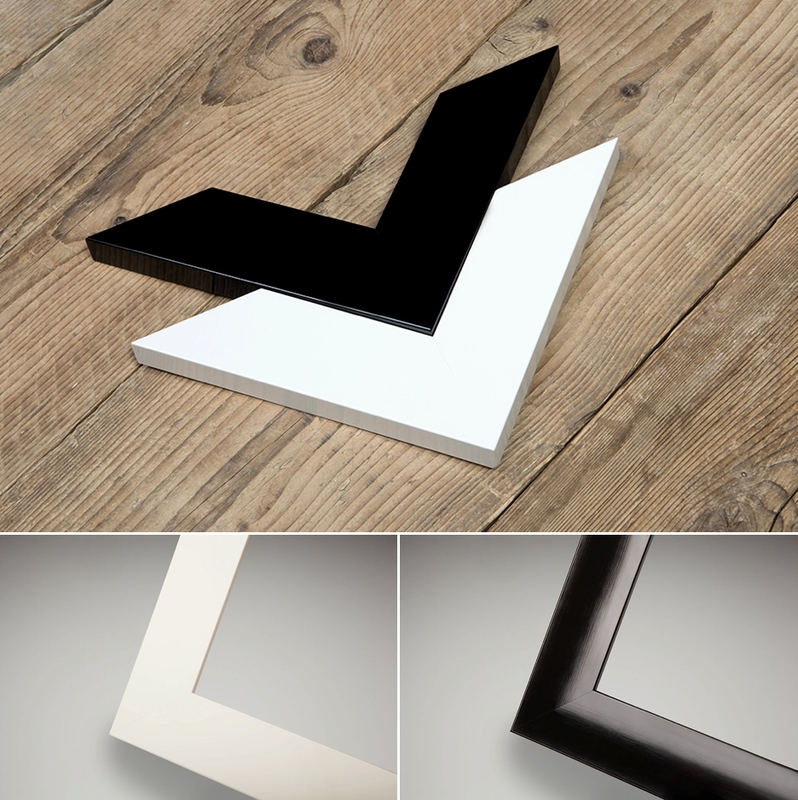 Striking high gloss and a flat finish combine to create elegant monochrome style in this contemporary frame.